CTF-Convoulted102 has a great layout resulting in fun gameplay. 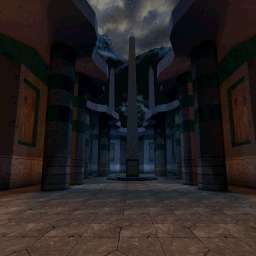 This is a bit of a nothing map for CTF gameplay. Humanity needs another version of Thorns about as much as it needs another world war. Not bad archi, it was the gameplay and the lighting wich killed it. and im ashamed i ever made one.